Kionte Spencer, a well-loved 18-year-old student, was shot and killed near his home in Virginia by Roanoke County police officers on Feb. 26. The circumstances surrounding the shooting and killing of Spencer are raising numerous demands for transparency and justice in the community. Roanoke County police spokespersons are saying that the officers thought Spencer had a gun because he was supposedly holding something in his hand that resembled a gun. Spencer’s friends say that he could have been holding a BB gun. The Roanoke County police released a still video after the shooting that raises more questions than it answers. At a March 1 Roanoke NAACP press conference near the site where Spencer was killed, Spencer’s friends came out to honor him and his contributions, including his assistance to his classmates, neighbors and children on a variety of projects. 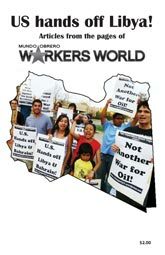 They and many others demanded justice. “Kionte was not armed with a lethal weapon. We believe the situation could have been handled totally different. … Now we are faced with so many unanswered questions in Kionte’s premature death by police officers,” said Roanoke NAACP President Brenda Hale. On March 4, a candlelight vigil and speakout was held near the site of the shooting to honor Spencer and to demand justice. Other events are in the planning stages. 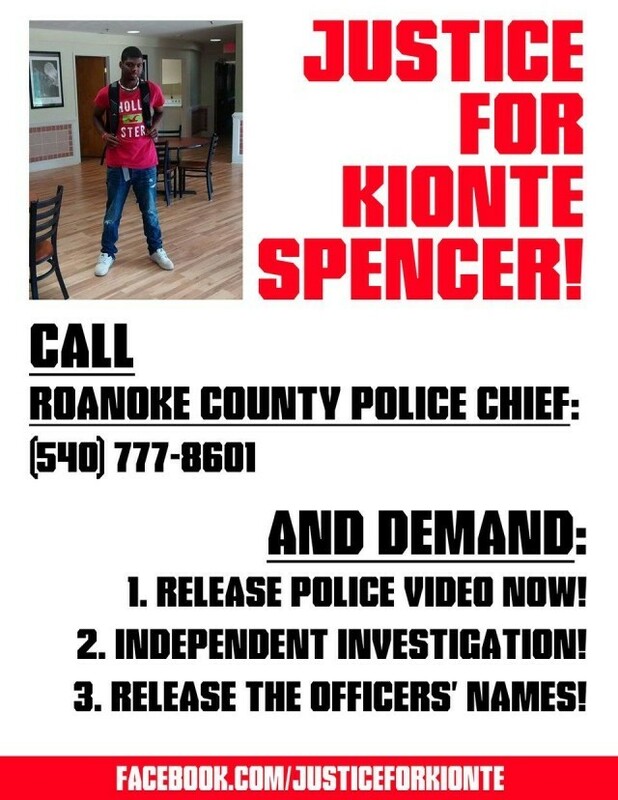 Spencer’s family is asking supporters to share their “Justice For Kionte” Facebook page (facebook.com/JusticeforKionte) and to call the Roanoke County police chief at 540-777-8601 and demand the release of the police video, an independent investigation and the release of the officers’ names.